This FAQ explains how to operate your homes heating controls and programmer. Heating controls allow you to decide how and when your home is heated, making sure it is warm when you want it to be or switched off when you don’t want it on. Knowing how to use your heating controls can save you money and cut down on wasted energy. 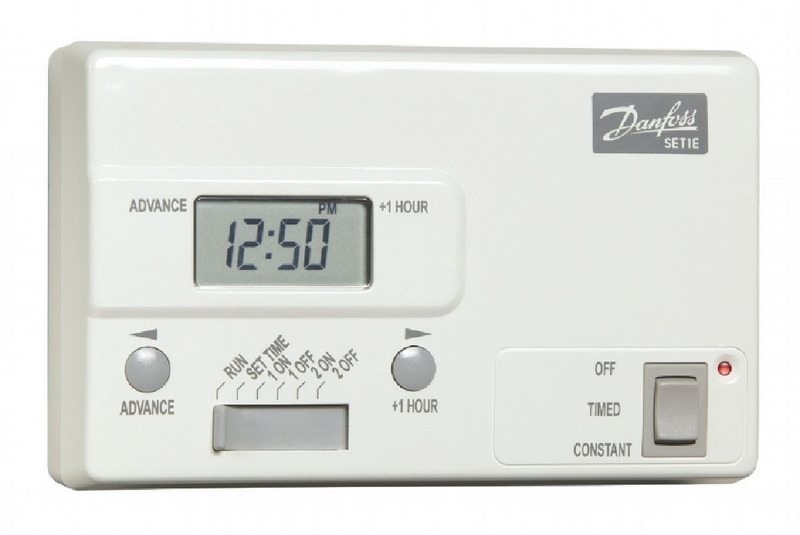 A programmer allows you to set time periods where your heating is ‘on’ and ‘off’. It does not control the hot water system as this is operated by a combination boiler, known as a ‘combi boiler’, which means you have instant hot water available every time you turn the taps on. Your heating system will not come on if the air temperature is the same as the temperature set on the room thermostat. The programmer allows you to switch your heating ‘on’ and ‘off’ for two different periods each day. The rocker switch is used to operate your heating as detailed below. Off The heating is switched off. Timed The heating will come on and go off at the times you have programmed. Constant The heating will come on manually and stay on constantly until you change the position of the switch. The programmer is supplied with the following preset timer programme, which will be stored in the unit until you reset it. These times may not be suitable for you. It is important to change the times to fit your lifestyle. This will allow you to get the most from your heating system. You can set your heating to come on and off twice a day. To set the first heating period, move the slider to the 1ON position. Use the arrow keys positioned either side of the slider to set the time, which will appear on the display. This will set the start time. Move the slider to the 1OFF position and again use the arrows to select the time for the heating to turn off. To set the second heating period repeat the process above but use the 2 ON and 2 OFF positions. Return the slider to the RUN position once the programmer has been set. The +1 Hour button is designed to give you an extra hour of heating. Press the button once and the heating will remain on for an extra hour. If the heating is off and the +1 Hour button is pressed the heating will come on for one hour. A red light on the right-hand side of the timer will indicate that the button has been pressed. To cancel the override, press the +1 Hour button again. A room thermostat simply switches the heating system on when it falls below the thermostat temperature setting. It switches off once the set temperature is reached. Turning the room thermostat down to a lower setting will result in the room being heated at a lower temperature and will save energy.